MTBC’s blockchain technology called Hyperledger will directly link patients to the company’s electronic health records where patients can then access their own personal health records through a computer of smartphone through iOS and Android software. MTBC (NASDAQ:MTBC) is looking to elevate the security of electronic health records (EHR) with the help of blockchain technology. On Wednesday (June 27), the company announced it has released a blockchain technology fused with its EHR platform in order to safely store patient medical records history as well as provide patients with complete control over who has access to their data. Called Hyperledger, MTBC’s blockchain technology will link patients directly to the company’s EHR where they can access their personal health records (PHR) either by a computer or smartphone through iOS and Android software. A. Hadi Chaudhry, president of MTBC, said in the release that medical records are created with the EHR every time a doctor sees a patient used by that provider’s health care service. He said this approach is more efficient than record keeping by hand, but that issues with “interoperability” in EHR can still obstruct a doctor’s capability to get an overarching view of a patient’s complete healthcare history. “Unless patients take the initiative to proactively share details about their health history and any medications that another provider may have prescribed, their current physician is working around blind spots that can adversely impact the effectiveness of care,” Chaudhry said. To help facilitate access to medical records, the technology will link and secure growing medical records using a hashing technique into a medical record “home” that will foresee patient data into a safe and accessible location. Because patients will have access to their own PHRs, this will allow them to provide different levels of access to their medical records to doctors of their preferences regardless of the EHR system used by that doctor’s medical practice. When a physician adds data to the blockchain upon approval, that data is then transferred to the EHR in “real time” so that the original records are kept up-to-date and safe while falling in line with regulatory guidelines. MTBC is a healthcare information technology company providing practices with web-based solutions through its WebEHR platform. A wide range of health care services have applied the company’s product with its reach extending across more than 40 US states. This isn’t the first company to implement blockchain services into the healthcare industry. 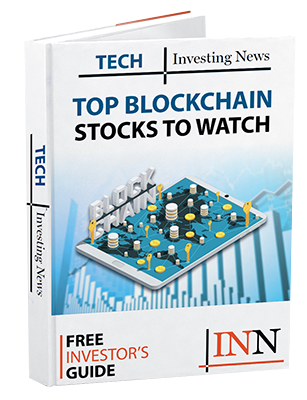 In May, VitalHub (TSXV:VHI) announced the first sale of its WellLinc blockchain electronic health care record solution, which is targeted towards mental health and long-term health care organizations. Putting it simply, blockchain is proving to be instrumental in the healthcare sector. Case in point, a report by BIS Research estimates blockchain’s growth in healthcare will reach a staggering US$5.61 billion by 2025, up from US$176.8 million in 2018 alone. The research firm states some advantages blockchain will have in this industry range from: creating transparency, eliminating third-arty intermediaries, streamlining operational processes and cutting down on costs. Following Wednesday’s announcement, shares of MTBC rose slightly by 2.67 percent to close the trading day at US$3.85. Over a five-day trading period, however, its share price has increased slightly more by 15.2 percent, up from US$3.34 from Friday (June 22) close. Technical analysis from TradingView.com currently ranks the company as a “Buy” with 16 in favor of the stock, eight as “Neutral” and two as a “Sell.” MTBC currently has an analyst price target of US$5 and is ranked as a “Moderate Buy” based off one analyst rating on TipRanks.